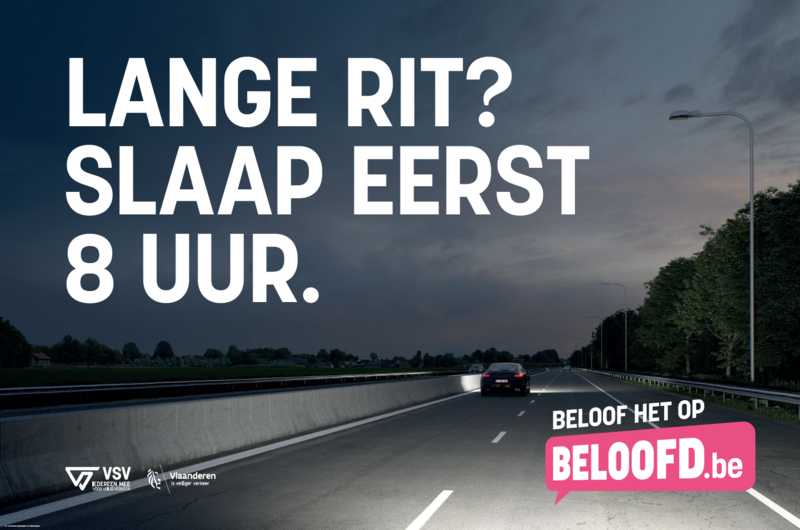 HOW VSV ENCOURAGED PEOPLE TO SLEEP 8 HOURS BEFORE LONG DRIVES. International research on traffic shows that 20% of all accidents happen because of drowsiness behind the wheel. Drowsiness kicks in even before you start feeling sleepy… A major problem which Bonka Circus wanted to tackle. 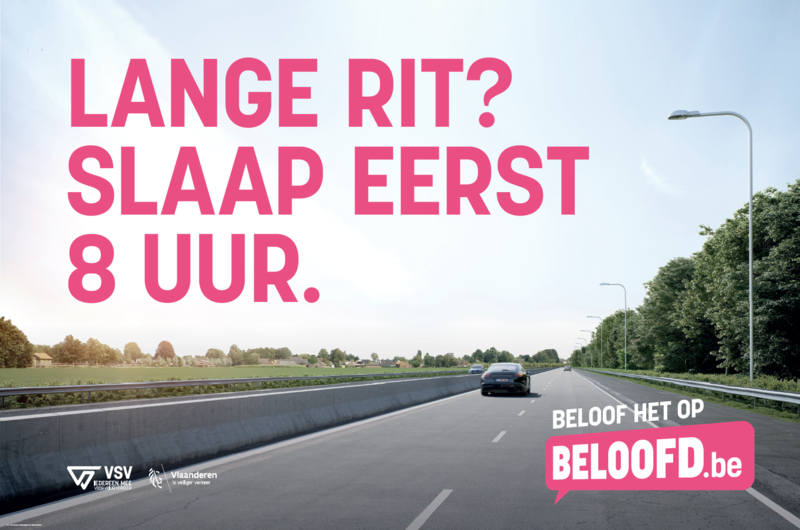 We asked 6 people to take a test organised by the University of Antwerp and the Institute for Mobility. In that test, our subjects had to take a long drive in a car simulator, a drive similar to the long journey towards a holiday destination which people often take right after a workday. A variety of high-end measuring devices kept track of our subjects’ eye and brain activity, measured their speed, and kept track of whether they kept a straight line on the road. The results were stunning: the test showed that drivers aren’t capable of judging their own sleepiness, and that they overestimate their driving ability. All of our 6 subjects kept driving long after their eye and brain activity indicated that they were in a drowsy state of mind and should’ve stopped. The conclusion: once you start feeling drowsy, it’s already too late. That conclusion was used in support to our primary message, serving as a trick to avoid drowsiness behind the wheel: ‘Long drive ahead? Sleep for 8 hours first.' The test video was widely spread on social media and was supported by billboards along highways. Radio commercials also encouraged travellers to rest before leaving on holiday. 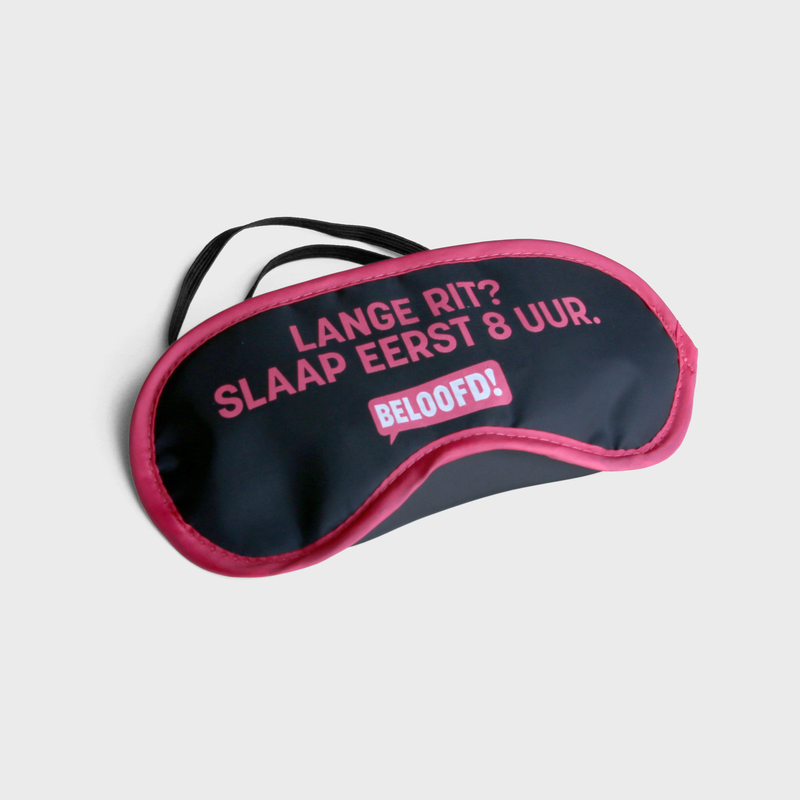 In collaboration with Radio 2 we handed out ‘Beloofd’ sleeping masks to visitors Plage Préférée, Radio 2’s biggest summer event. 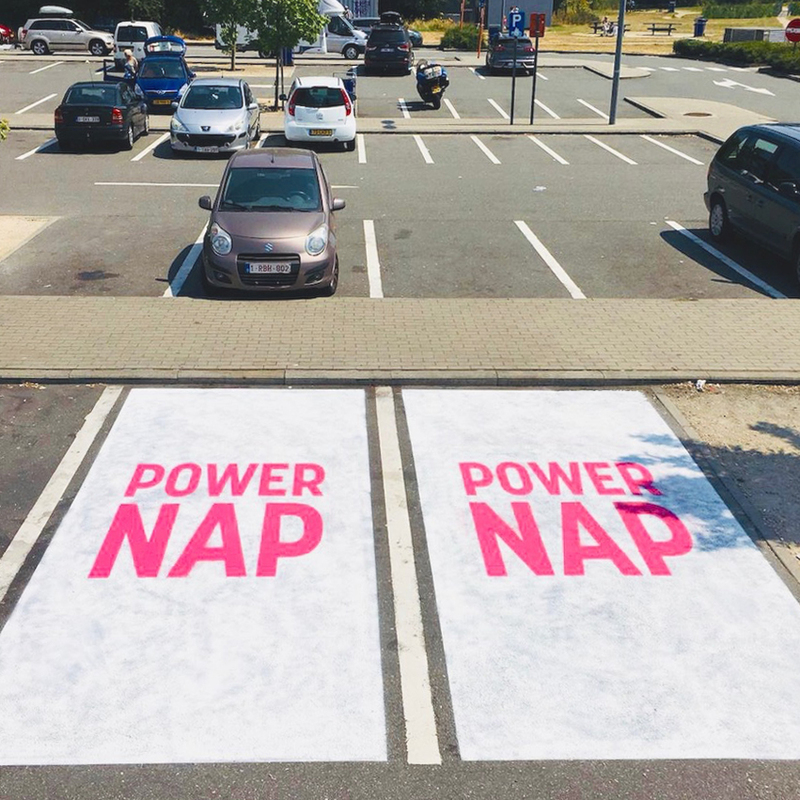 We also opened powernap parking spots at gas stops next to highways, so drowsy drivers could take a 15-min powernap in peace.